This attachment is for the Bobcat MT-85. 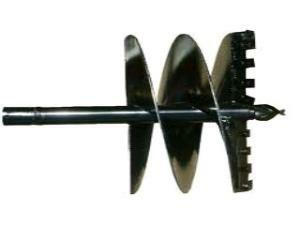 This 24" auger bit mounts to the MT-85 auger attachment and has a length of 4'. * Please call us for any questions on our auger bit 24 inch bobcat mt85 rentals in Hillsdale and Ridgewood NJ.